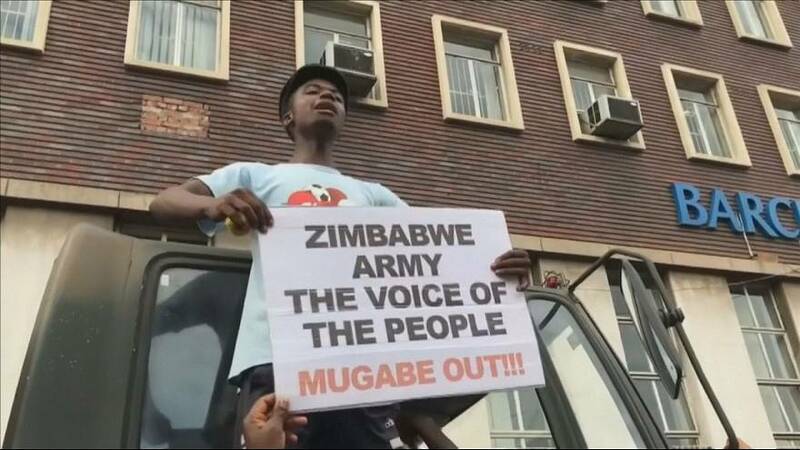 Zimbabweans celebrating the expected fall of President Robert Mugabe marched towards his residence in the capital Harare on Saturday. Hundreds of thousands of people flooded the streets of the capital singing, dancing and hugging soldiers in an outpouring of elation as Mugabe’s rule comes to an end. evaporate in less than three days. are facing mounting pressure to step aside.